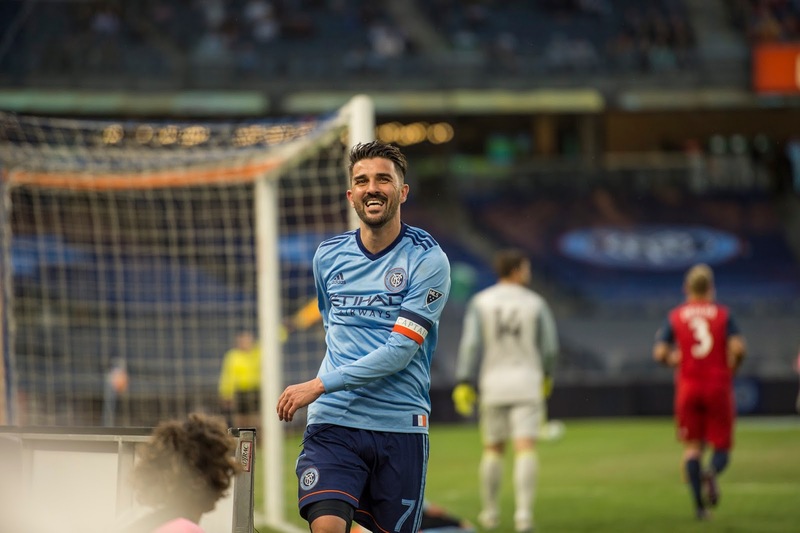 New York City Football Club is losing its first-ever player, as their Captain David Villa will leave the team at the end of his contract on December 31, 2018. Villa spent four glorious years with NYCFC, in which he scored 80 goals in 124 MLS matches. The Spanish World Cup winner, who previously played for European clubs including Barcelona, will announce the next destination very soon. “Thank you to the people in the offices, the people working with the team and the coaches and staff. Thank you to my teammates - without them it would have been impossible to be successful. Thank you to the people working in the media that always gave me the respect and the love. Vice Chairman of NYCFC Marty Edelman said, “David Villa encompasses the values that we have here at New York City FC. The impact he has had on not only this Club, but in this City, cannot be measured in just goals or assists. NYCFC Sporting Director Claudio Reyna said, “David has been an incredible ambassador and Captain to this Club since the moment we signed him. His professionalism and leadership helped us through the challenges that a new team faces when they come into the league. He’s represented New York City FC tremendously both on and off the pitch and has been a real leader for this football club. In 2017, he scored 24 goals across all competitions, despite playing in fewer games than the previous season, as NYCFC finished runners-up in the Supporters’ Shield race – a tally which included his first-ever hat-trick for the Club in the unforgettable 3-2 Hudson River Derby win over the Red Bulls in the Bronx. This incredible form earned David a recall to the Spanish national team in September 2017, and he received a hero’s reception when he won his 98th international cap vs. Italy, three years after his last appearance for La Roja. One of the highlights of this past season came in April vs. FC Dallas when he scored the 400th goal of his career, elevating Villa into the pantheon of greats to have netted over 400 goals at the highest level.